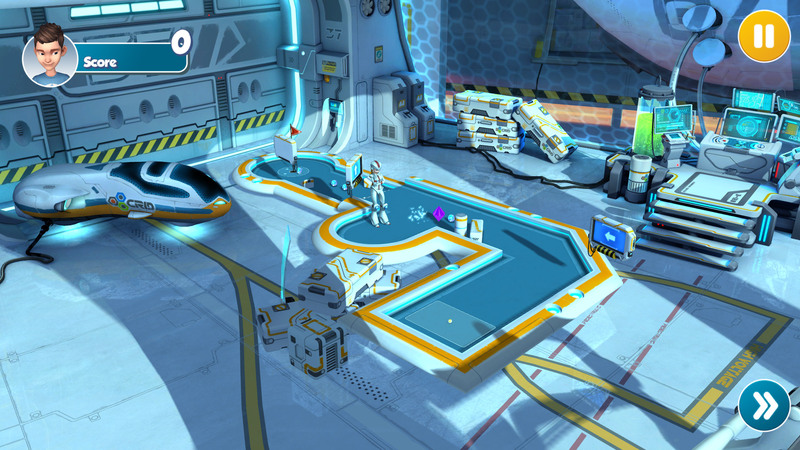 Hangar 37, the new Outer Space themed FREE Space Themed Hangar 37 DLC for Infinite Minigolf is now available! Put on your space suits and prepare for landing in Hangar 37 on the Intergalactic Spaceport in this sci-fi Infinite Minigolf adventure! 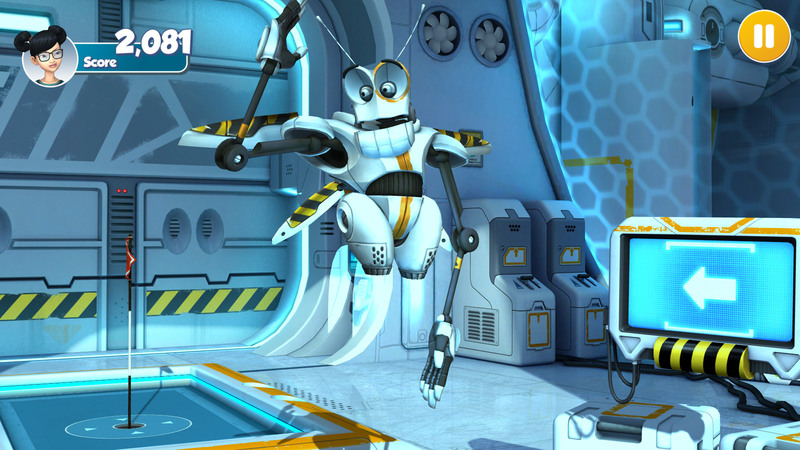 Meet a goofy team of aliens and robots who will help you complete four new and challenging courses, consisting of 108 brand new minigolf holes. 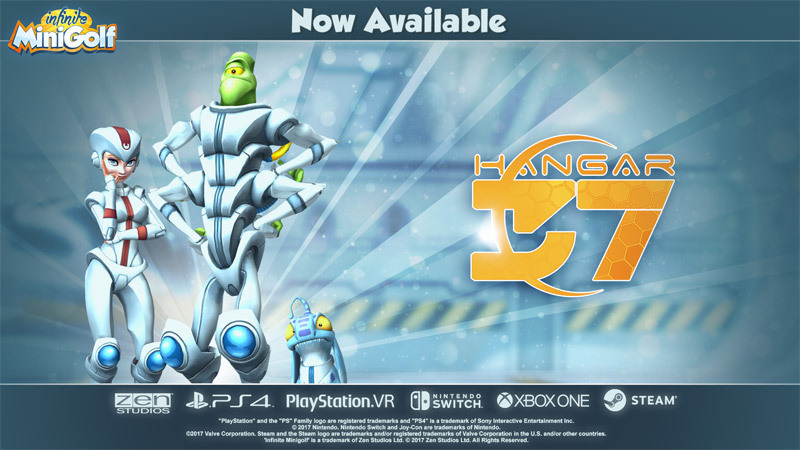 Now available for Playstation 4, Xbox One, Steam and the Nintendo Switch, Hangar 37 tests your skills in four new tournaments designed by friendly aliens like Fred and brave astronauts like Nova. 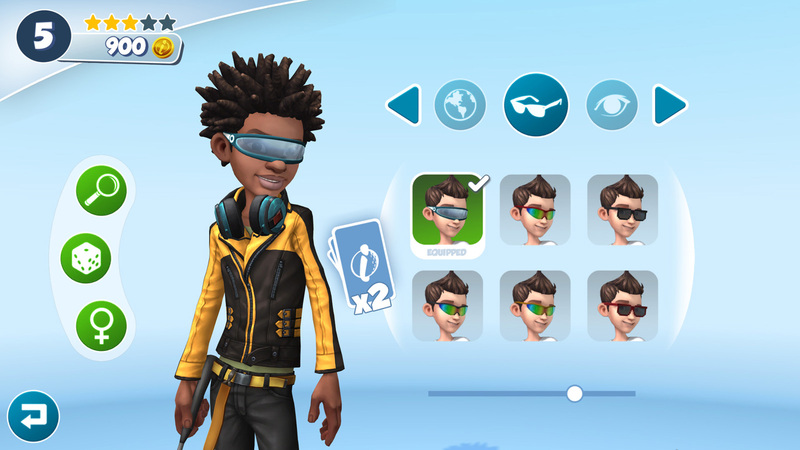 Try out the number of courses included, or enjoy even more course building options as you place gadgets and build up your version of a futuristic course to share with the Infinite Minigolf Community. Share your best designs with the community and join a library of more than 15,000 courses! 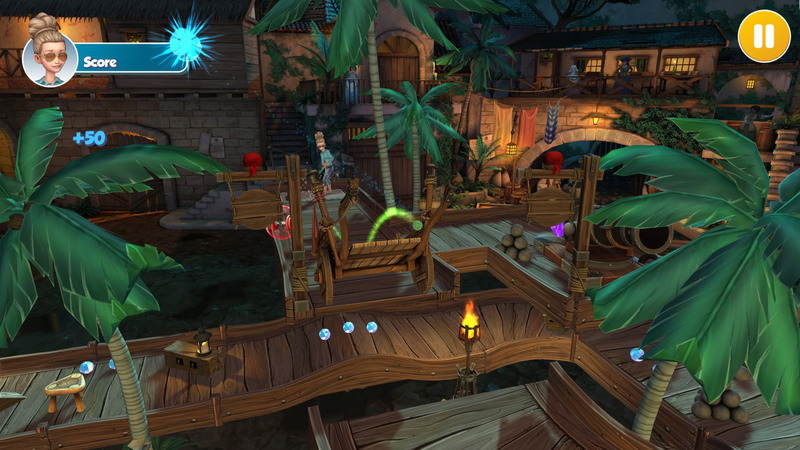 Set sail to the lovely Caribbean pirate town of Tortuga and play along side a crazy cast of priates as you embark on a new Infinitie Minigolf adventure! 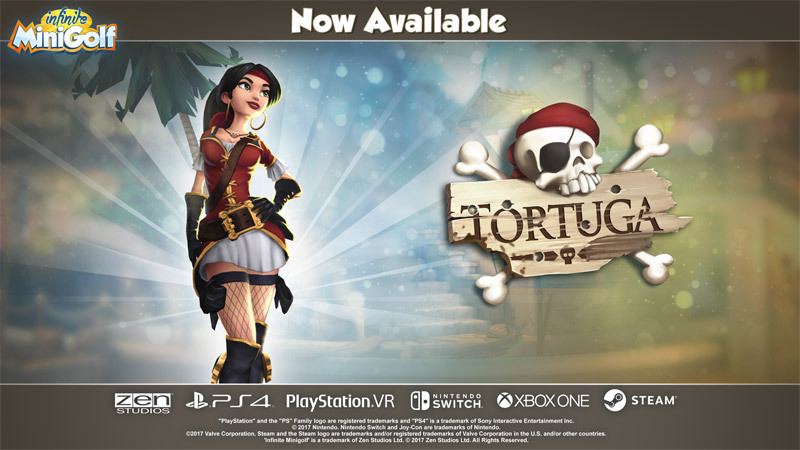 The pirate themed Tortuga expansion for Infinite Minigolf is now available as a free update for all players on PlayStation 4, Xbox One, Nintendo Switch and Steam. 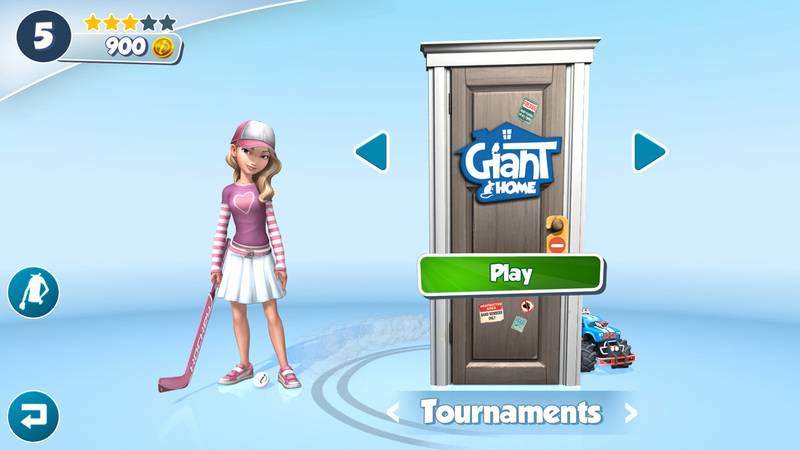 The theme arrives with 172 new holes, course creator tools and a new set of tournaments. 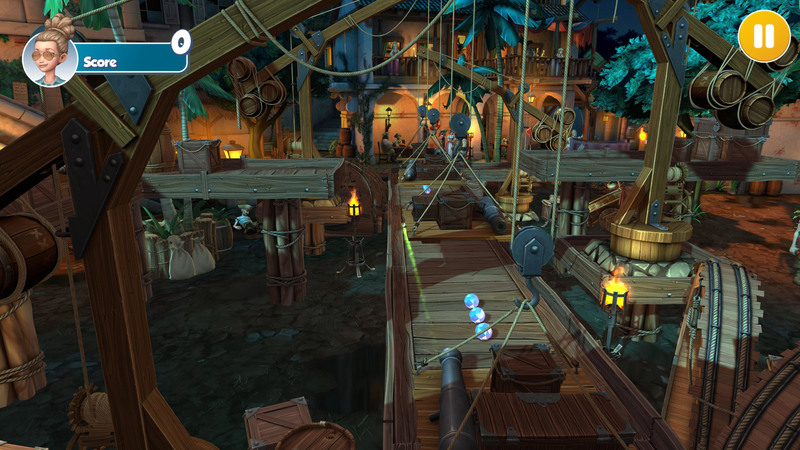 Captain Salvador and his crew of buccaneers have many pirate inspired surprises while you play through the 108 holes across four brand new tournaments. 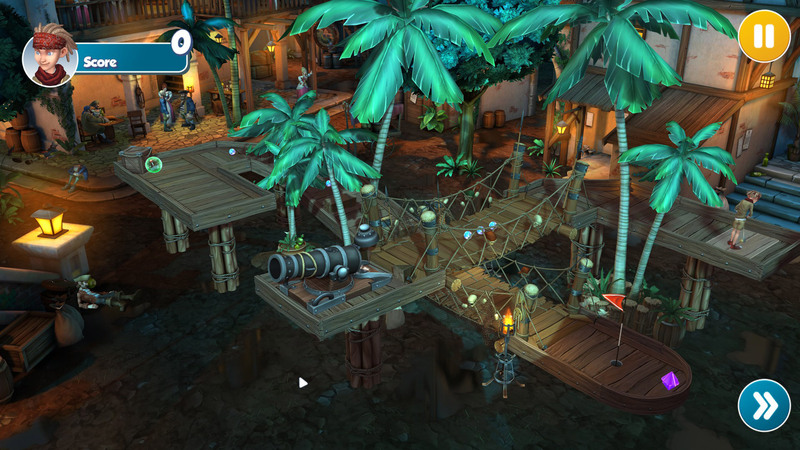 Build your own pirate themeed course using brand new tiles and pirate themed objects, and share them with the Infinite Minigolf community! 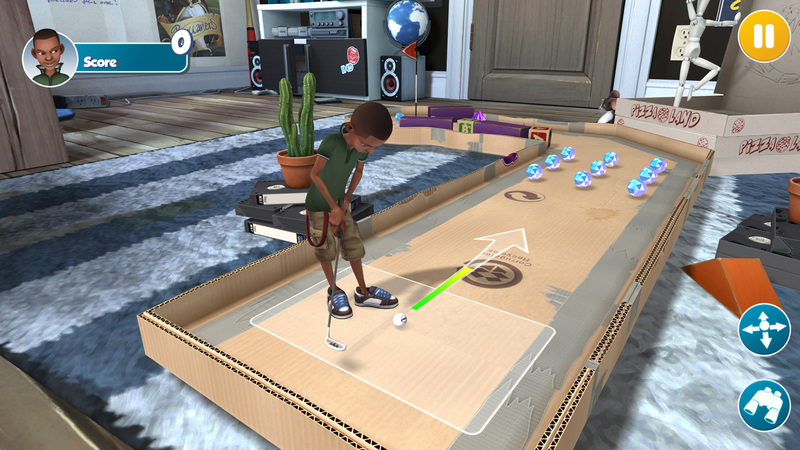 Infinite Minigolf is now available! 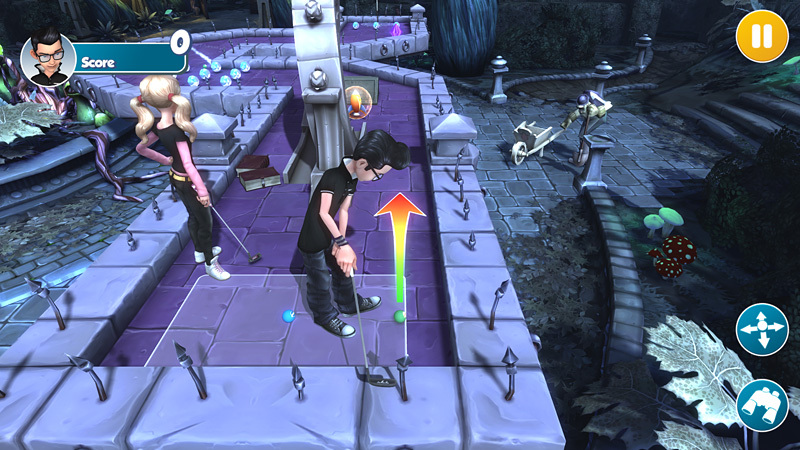 Pick up your golf clubs and putt away in Infinite Minigolf, releasing TODAY on Playstation 4, PSVR, Xbox One and Steam! Switch players we are still waiting to hear back from Nintendo, as soon as we get any updates we’ll share! 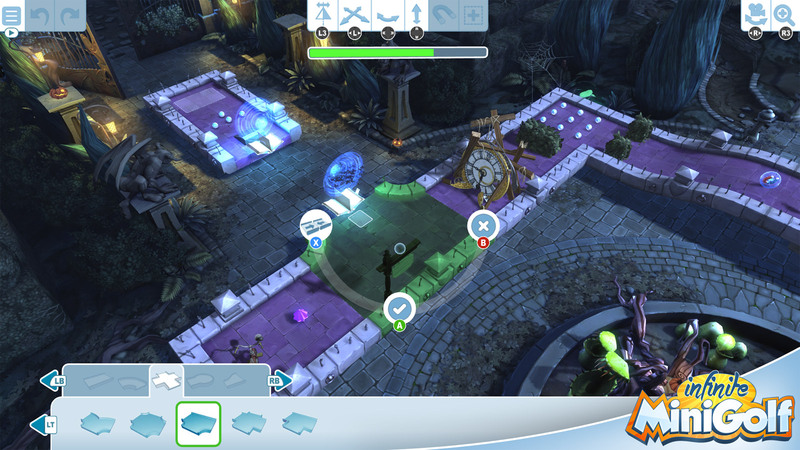 Explore the endless fun of Infinite Minigolf with cross platform content sharing! This means all user created holes and courses will be available to every player regardless of platform. So if you made a clever hole on Steam the console players can try it out as well! In the easy to use course builder you’ll have tons of pieces at your disposal to create the ultimate golf course! Show your friends your skill in local multiplayer, or join online multiplayer tournaments up to 8 players! 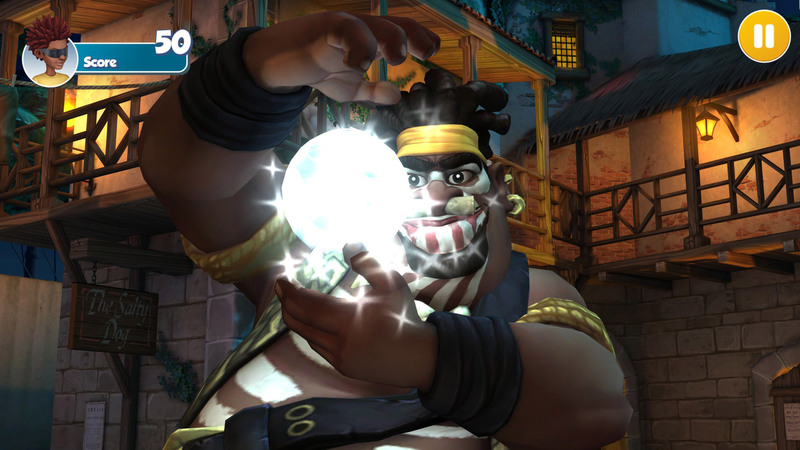 With the collection of powerups, obstacles and characters you will find new things to try constantly! 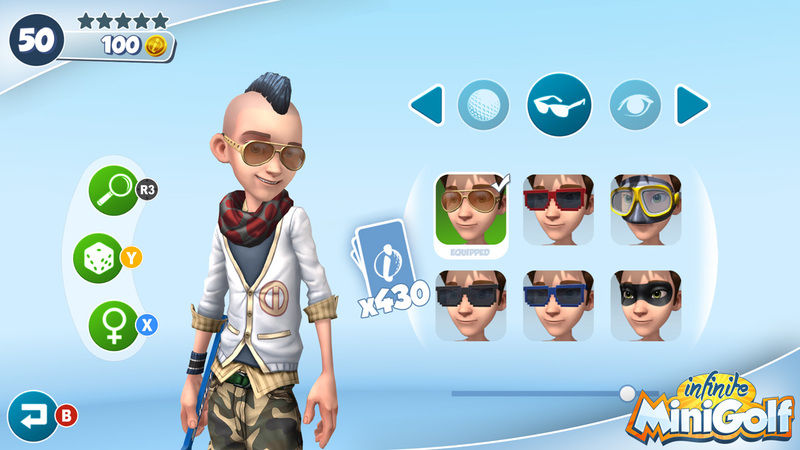 Collect swag for your character by doing missions and acquiring cards to unlock new hairstyles, clothes and even rare golf clubs like the crowbar! 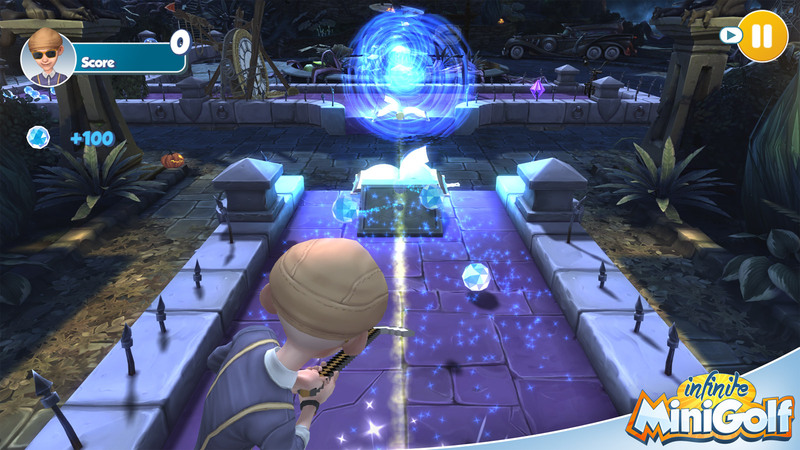 Jump into the neverending possibilites of Infinite Minigolf today! 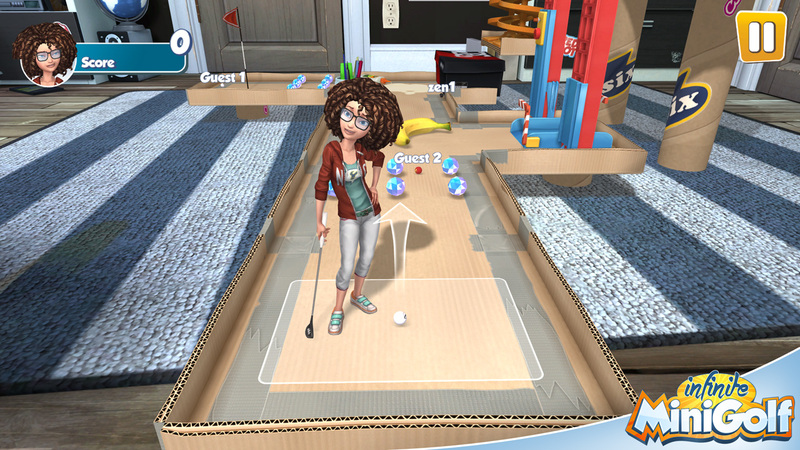 Infinite Minigolf Launches on July 25th! We are happy to announce that Infinite Minigolf will launch on PlayStation 4, PlayStation VR, Xbox One, Nintendo Switch and Steam, including HTC Vive and Oculus Rift compatibility. 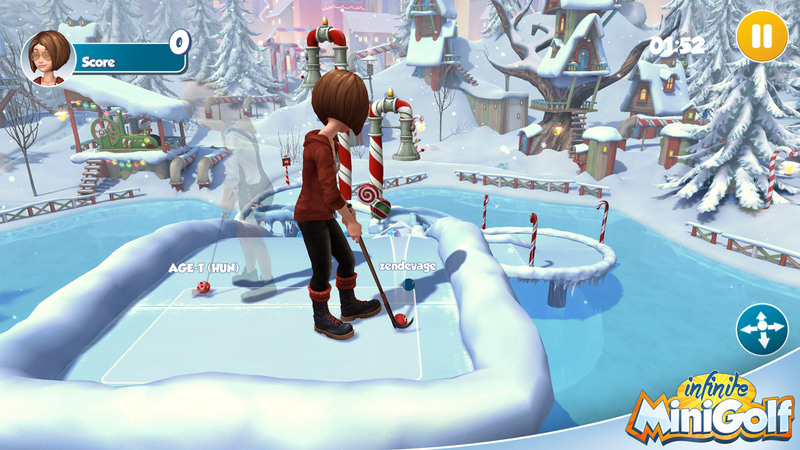 We took a little extra time to make the game as best we can, and we have worked hard on a feature that we can tell you about today, Infinite Minigolf will have cross platform user created content! This means you will be able to share your carefully built courses with anyone who is playing, regardless of platform. If you’ve made a cool hole on the Nintendo Switch, someone on Steam will be able to play it and vice versa! We wanted to give no limits to your creativity, we hope it was worth the wait! Thank you for staying with us through this period, and big shout out to our Steam early access users for helping us polish Infinite Minigolf! Jump into the truly infinite experience with the plethora of courses already created and design your own fun and wacky levels to give other players a run for their pars! With an easy to use course creator and the intuitive hole browser you can always make or find the perfect course, especially since every hole created by the community is shared across all platforms! 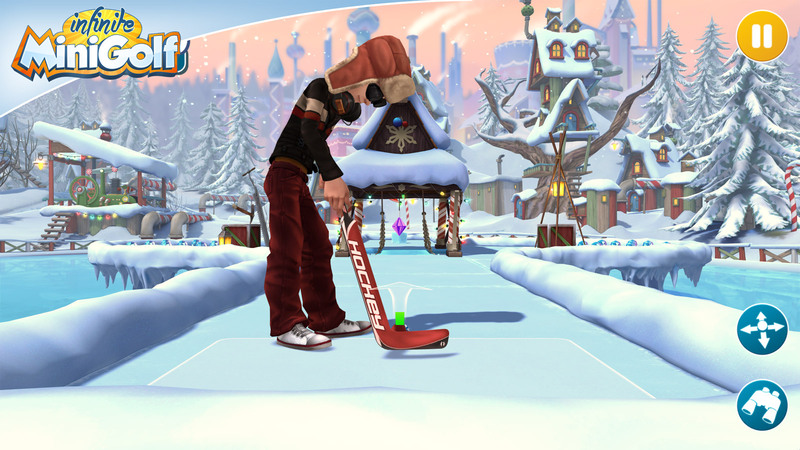 So try out your swinging arm in the variety of unique themes, customize your character or compete against friends in multiplayer tournaments up to 8 players online or locally in this never ending, beautiful minigolf experience! Available for Pre-Order on Playstation and Xbox One! 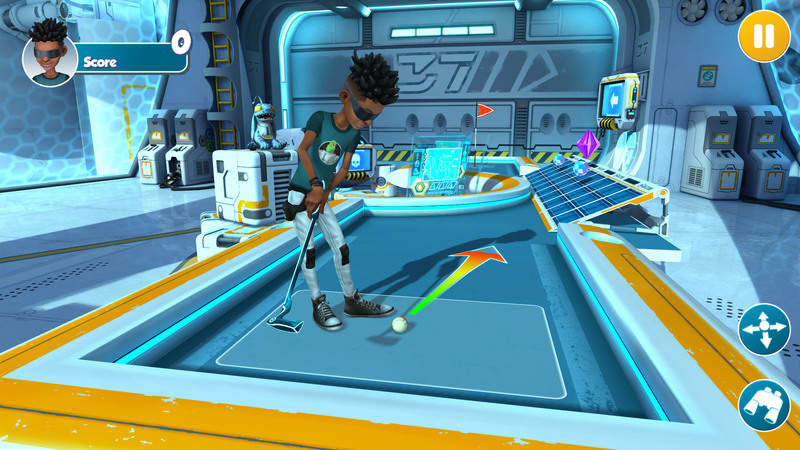 Infinite Minigolf has been available on Steam Early Access for a few months, and we know many of you have been waiting for console news, so today we are excited to confirm that Infinite Minigolf is coming PlayStation 4, PlayStation VR, Xbox One, and Nintendo Switch this spring! The game will get Vive VR support on Steam at launch, day in date with the console launch. 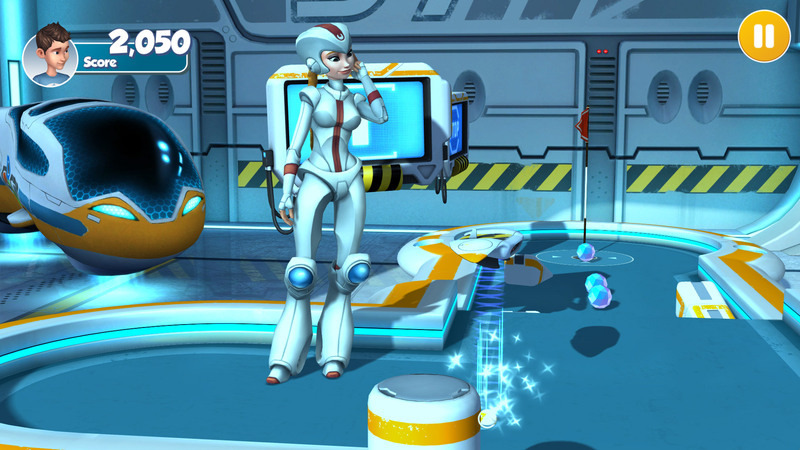 Zen would like to send a big THANK YOU, to everyone who played Planet Minigolf. 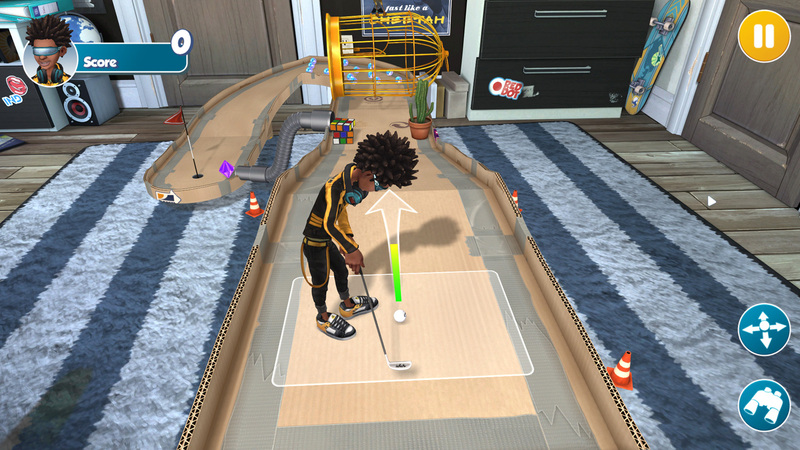 An even BIGGER thank you goes out to all the players who took time to send us feedback and ideas over the years, and more recently on Steam Early Access, which has helped to make an ever better Minigolf game. 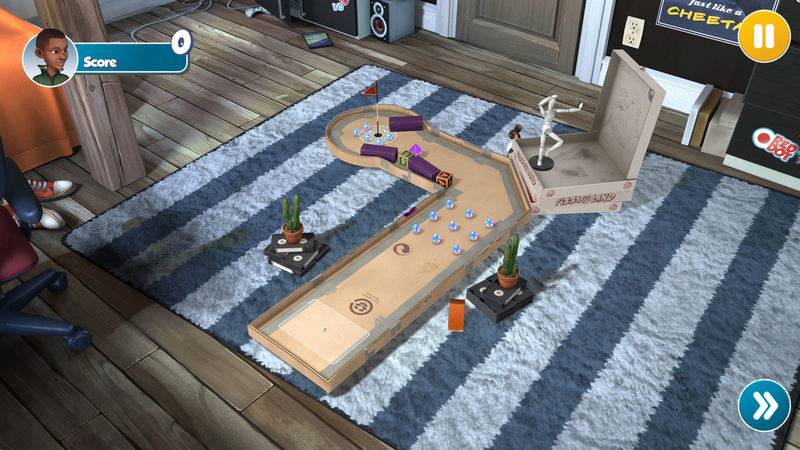 Infinite Minigolf is a game designed to never end. How can a game never end? Well, for starters, we are giving you easy to use tools that allow you to create and share unlimited courses. We heard your feedback regarding the original course editor and have made significant upgrades. 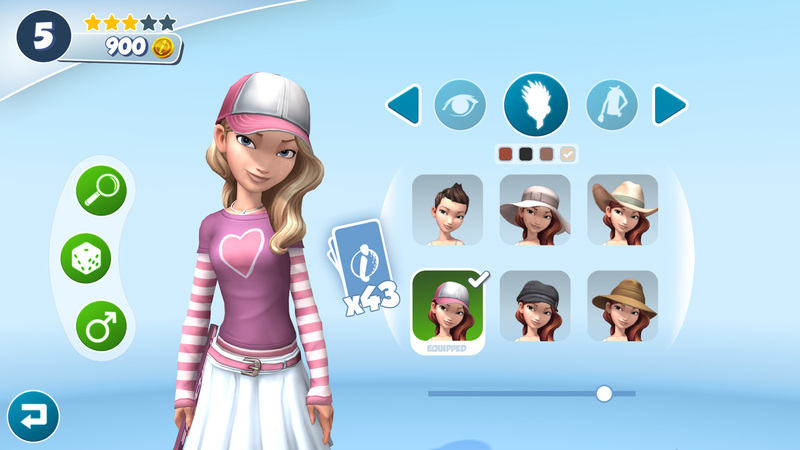 The toolset in Infinite Minigolf is easier to use, intuitive and you have a LOT more options. 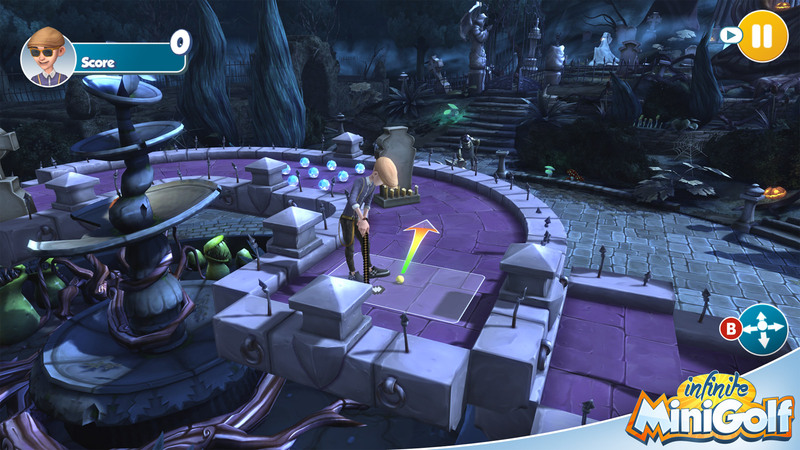 Stylized tiles, beautifully crafted objects that affect gameplay and allow you to play tricks on players are all included here. Also – a way to find the best courses! Planet Minigolf players probably remember the massive shared library, over 80,000 (!!!!) holes. The challenge was finding the best or newest or wackiest or…yeah, we get it. The hole browser feature will help you find what you are looking for, no problem! Next, take all these user created courses and apply a fun multiplayer and tournament system so you can all play together. Multiplayer is a huge focus in Infinite Minigolf, and we are supporting 8-player matchups, as well as tons of tournaments and competition. There are a bunch of other great new features, unlockables, power-ups and Minigolf stuff to talk about, and we have not even gone in depth about VR, but sadly our time here is short. You will be able to find out more about these as we lead up to launch by keeping an eye on our blog and social feeds. 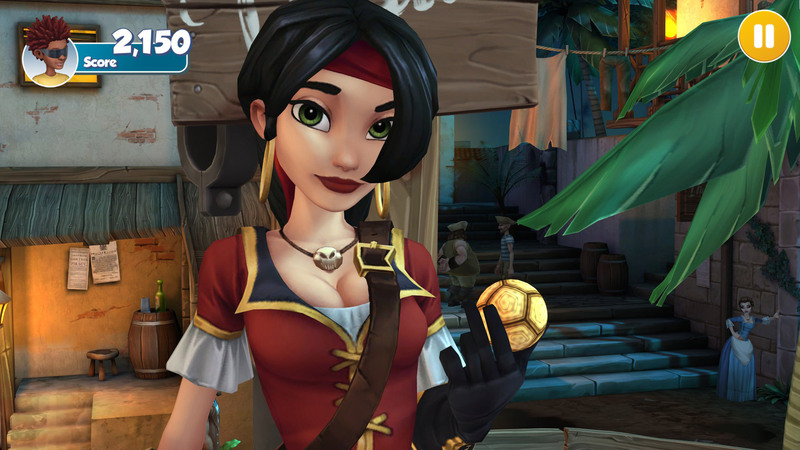 At the end of the day, Zen has set out to provide you with unlimited fun with the craftmanship and quality that you have all come to expect from our games. 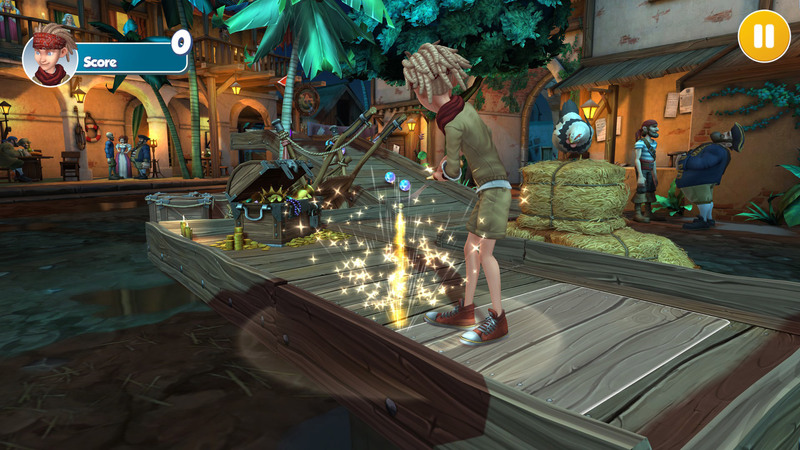 We hope you are excited for Infinite Minigolf, and will be able to share our release date and pricing info soon. HO! HO! HO! 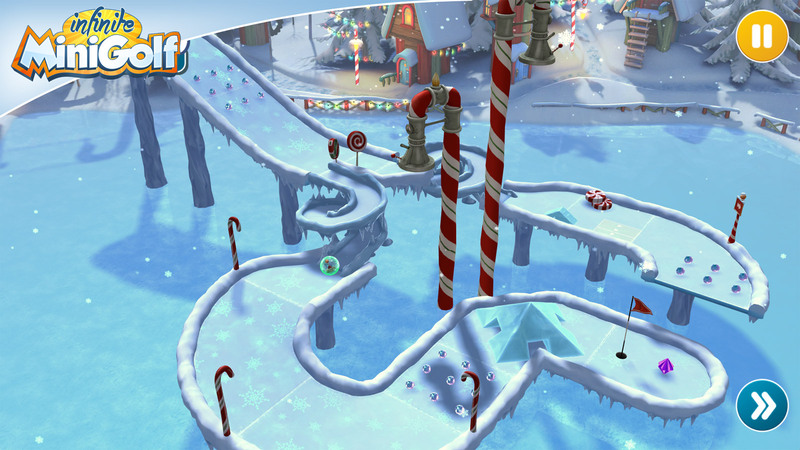 Santa’s Factory Update is Now Available for Infinite Minigolf! Dive into a winter wonderland with Infinite Minigolf’s latest course, Santa’s Factory! 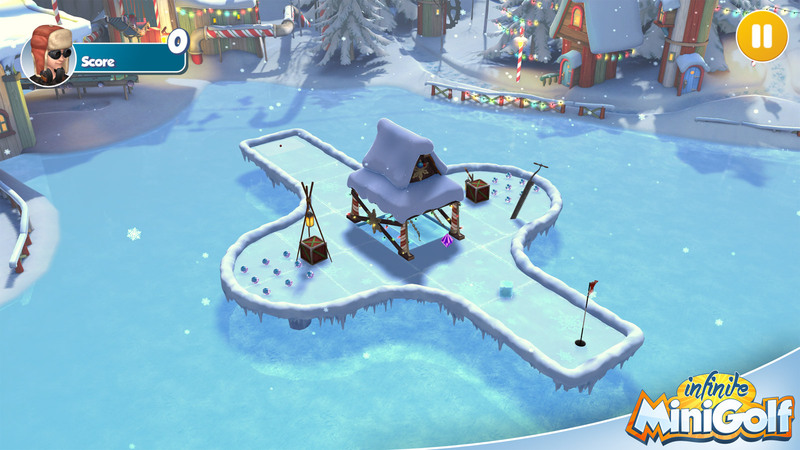 In time for the holiday season, Santa’s Factory takes players on a journey to the North Pole, hands down the best place to get in some rounds of minigolf this time of the year. 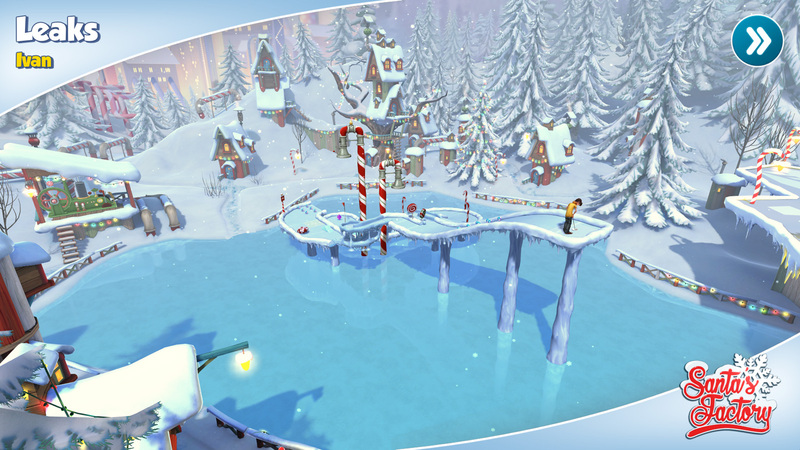 Grab your candy canes, hockey sticks and golf clubs and hit the links with Santa and his reindeer for some festive holiday fun as the Santa’s Factory update is available now for Infinite Minigolf in Steam Early Access! Santa’s elves are busy operating the delicate machinery in Santa’s Factory, creating some great building blocks for crazy minigolf courses. 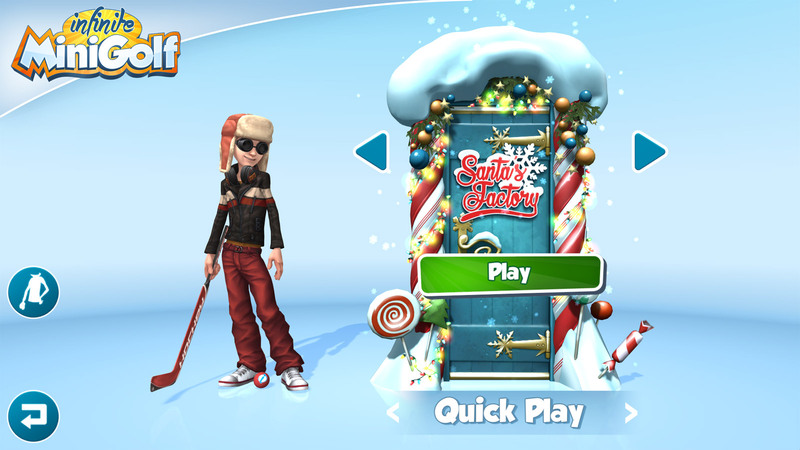 The snow, presents, and wintery theme will definitely put you in the Christmas spirit. 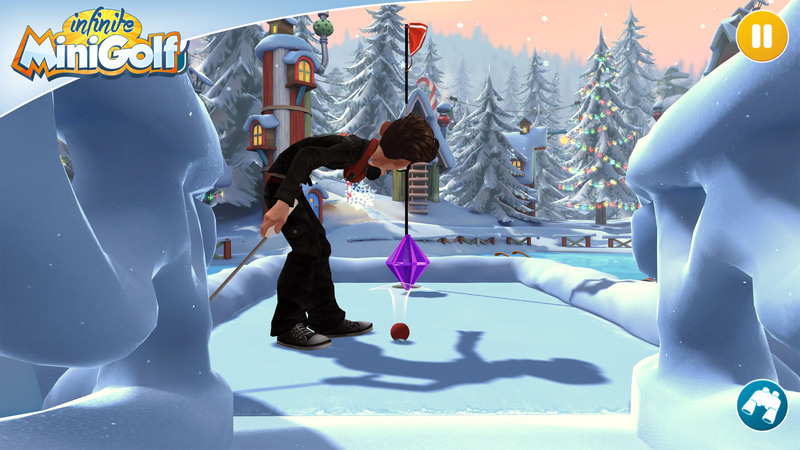 However, be wary of slippery tile surfaces carved from ice while you putt around the merry scenery! In addition to the new theme, Zen has also introduced a new feature: the Hole Browser. 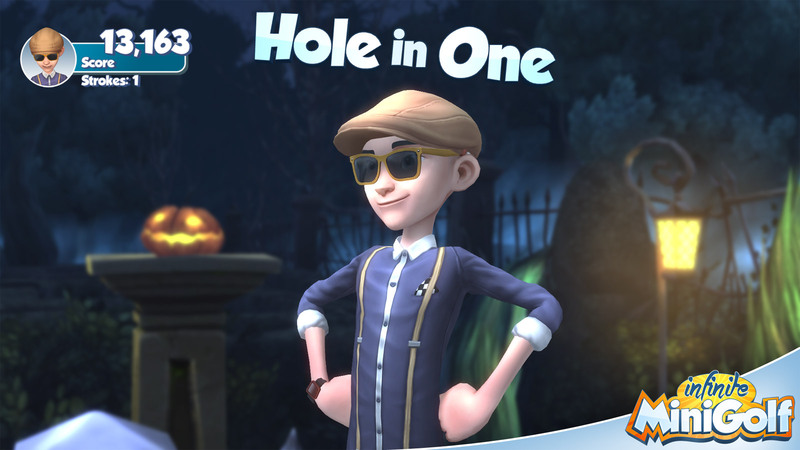 Players can now search and filter player created holes and assemble your own custom courses from them. 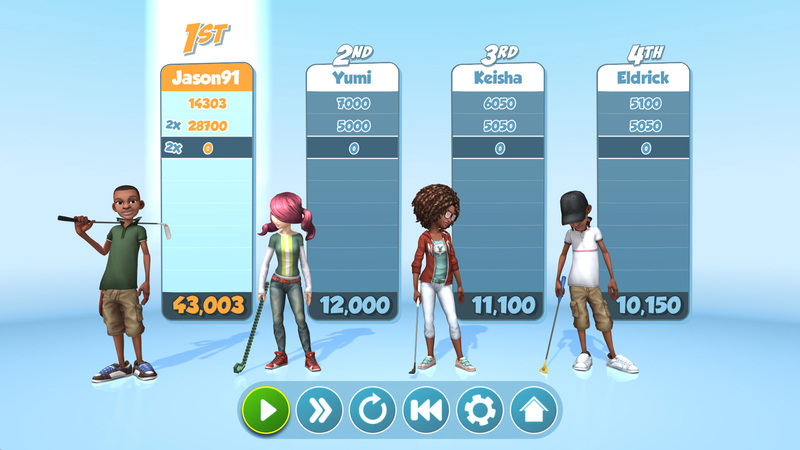 Challenge your friends on your own courses in local or online multiplayer matches, with support for up to eight players! 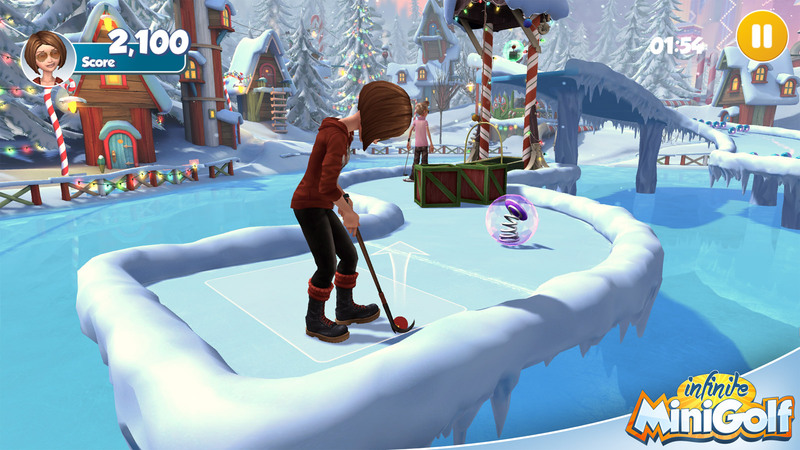 Following in the footsteps of the original Planet Minigolf, Infinite Minigolf features comfortable and easy to learn gameplay, avatar customization and local multiplayer, making for a fresh and fun experience each time. 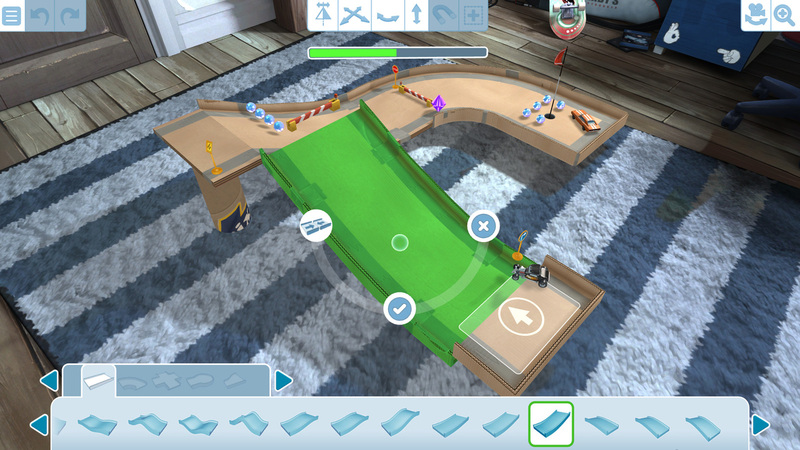 In addition, Infinite Minigolf features a robust course editor, allowing players to utilize thousands of different combinations to build detailed courses to their liking. 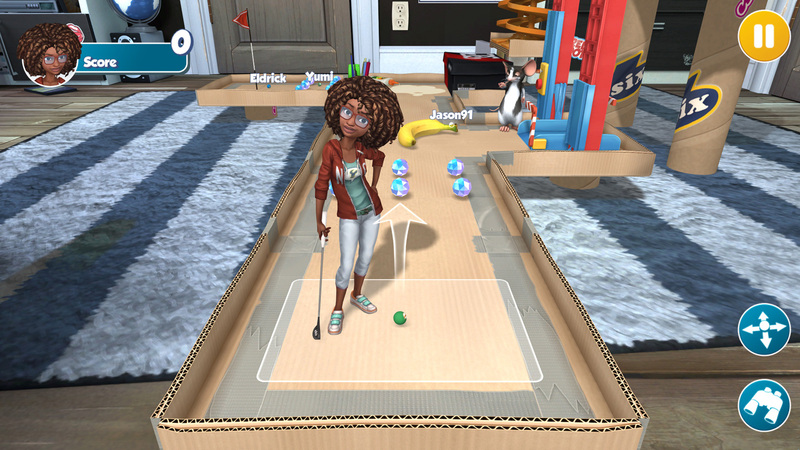 Players can imagine, create and share their courses with the Infinite Minigolf community and bounce their ideas off of each other. 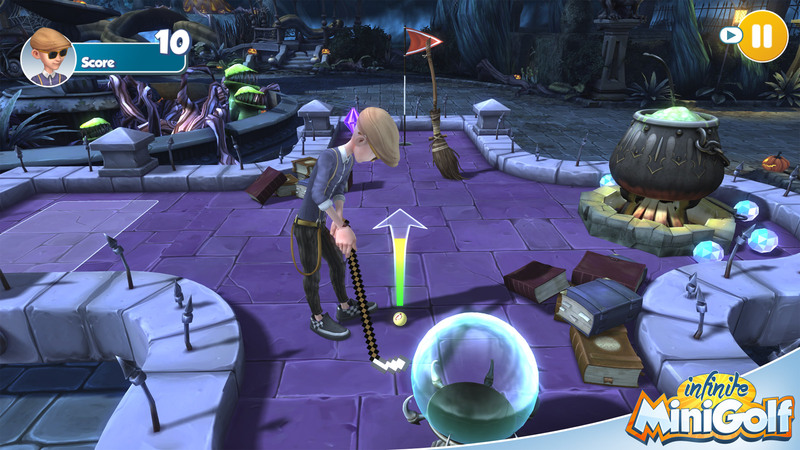 The possibilities are endless in Infinite Minigolf! 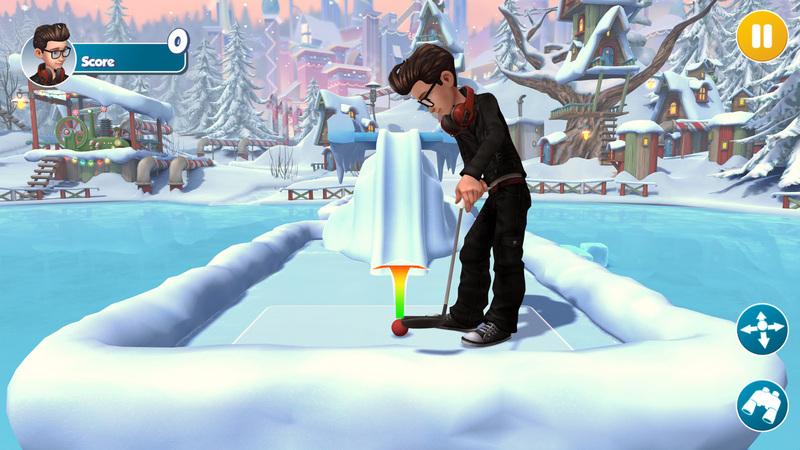 Even more content is coming to Infinite Minigolf early next year, including the complete Single-player campaign, which will feature many more courses handcrafted by the wizards at Zen Studios! 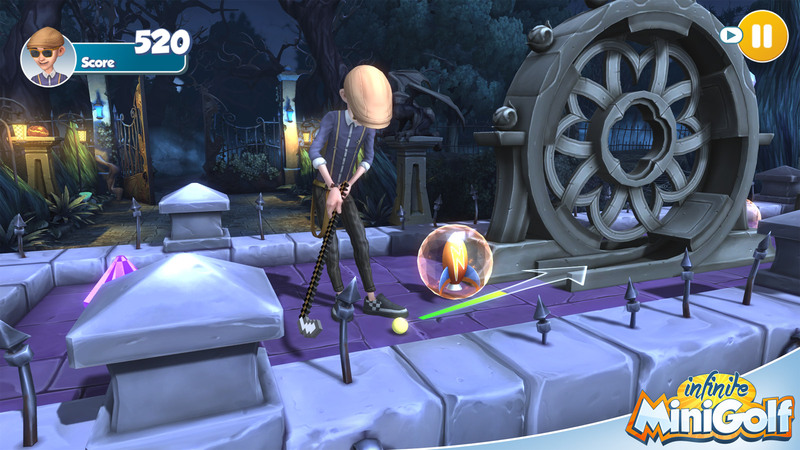 Grab Infinite Minigolf in Steam Early Access today for $14.99, a five dollar discount from the $19.99 launch price. 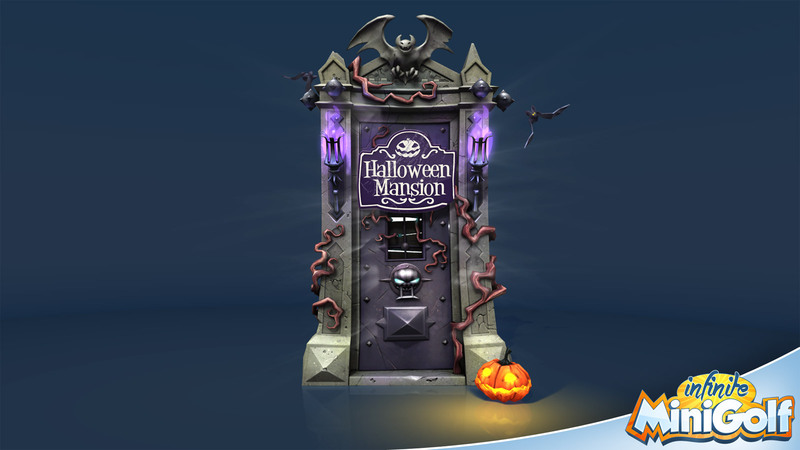 Celebrate Halloween with us on the spooky new Halloween Mansion theme! Just in time for Halloween, this new course introduces ghosts, scares, and all kinds of new traps and obstacles to explore! 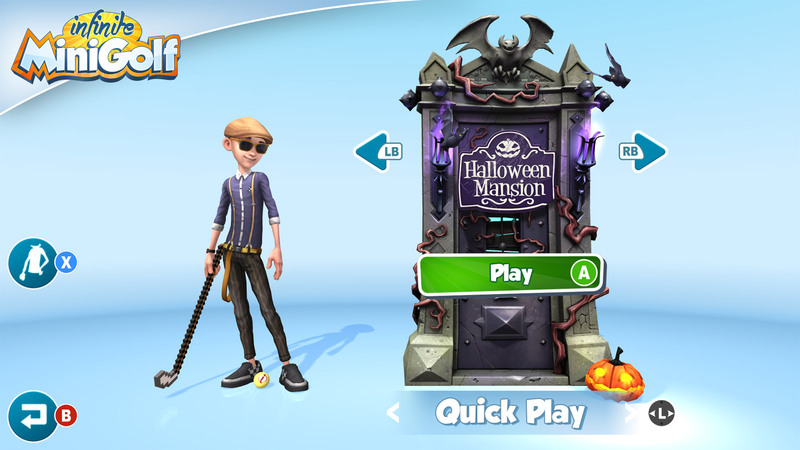 Halloween Mansion is available now in Infinite Minigolf! 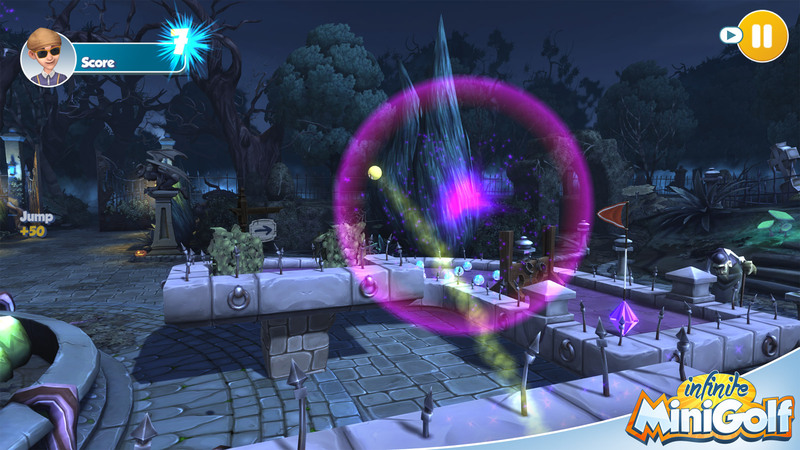 In the spooky courtyard of the Halloween Mansion, nothing is as it seems. Magic is everywhere, springing abandoned objects to life, and you never know what’s there to help you and what traps you’ll face. 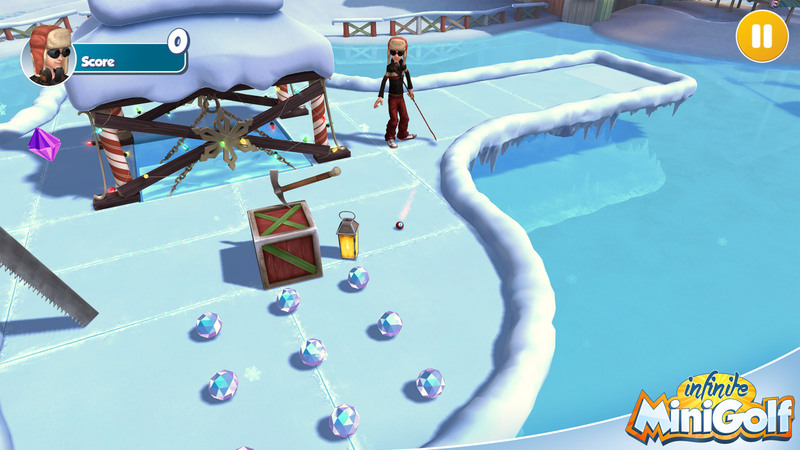 There are new tricks around every corner, and you’ll need all of your wits to navigate the golf ball into the hole. 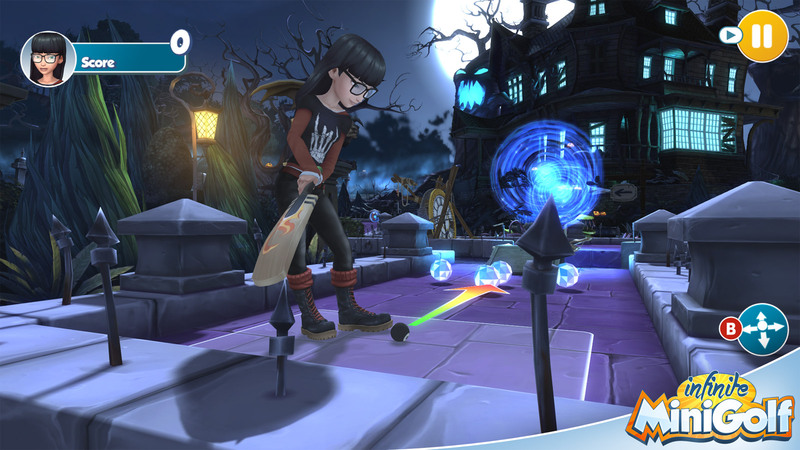 Halloween Mansion is now available via update in Infinite Minigolf on Steam Early Access. The game can be purchased now for $14.99, a five dollar discount from the final version which launches in 2017. We hope to see you at the Halloween Mansion! 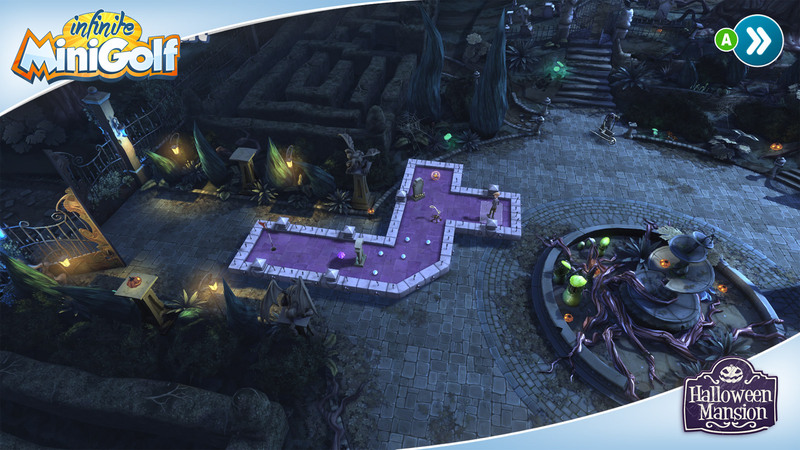 We are so excited to finally reveal Infinite Minigolf, the long-awaited sequel to the beloved Planet Minigolf! 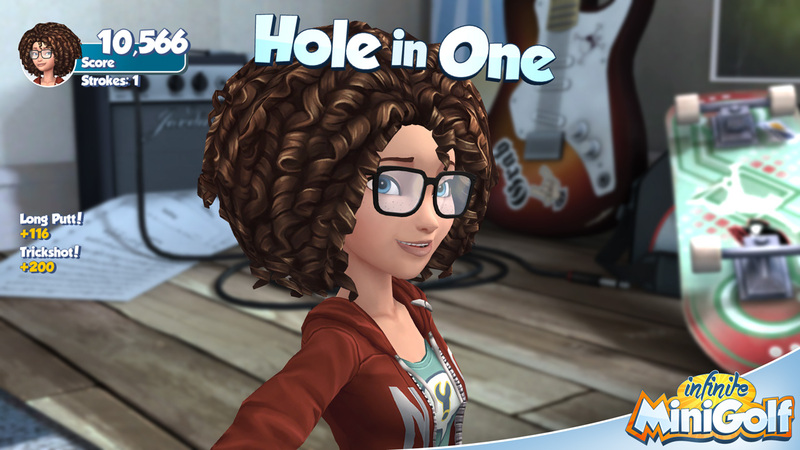 Infinite Minigolf combines exciting physics and dynamic environments with a deep course editor mode and community sharing system for the most addictive minigolf experience around! 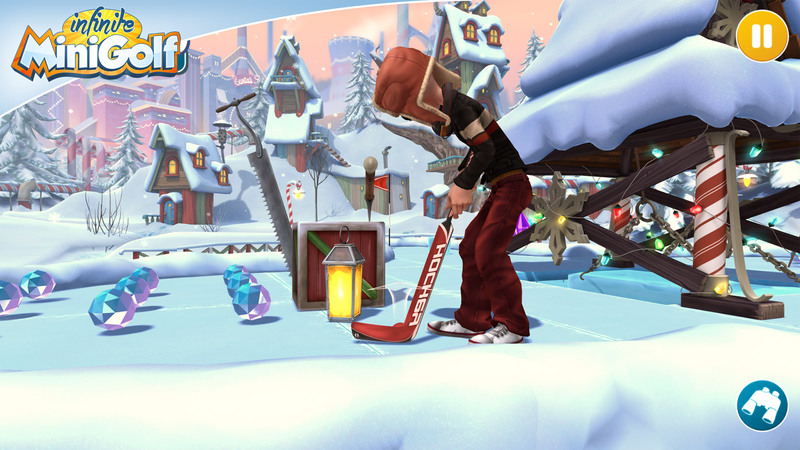 Infinite Minigolf takes the classic gameplay presented in the original game to exhilarating new heights. 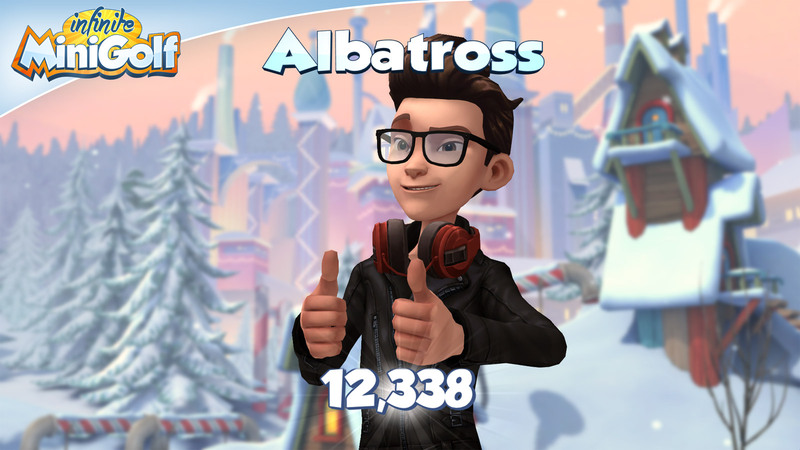 Infinite Minigolf takes advantage of modern gaming hardware to create extremely accurate physics, cartoon-rivaling graphics, animation and detailed environments for a truly unparalleled minigolf experience. 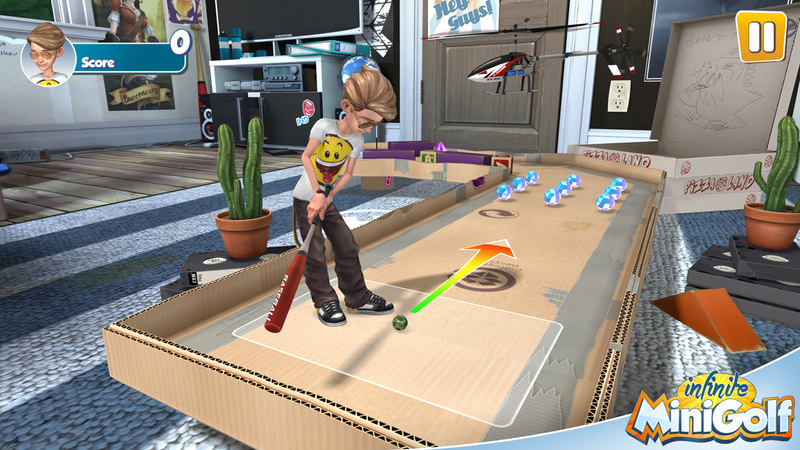 Following in the footsteps of the original Planet Minigolf, Infinite Minigolf features comfortable and easy to learn gameplay, avatar customization and local multiplayer, making for a fresh and fun experience each time. 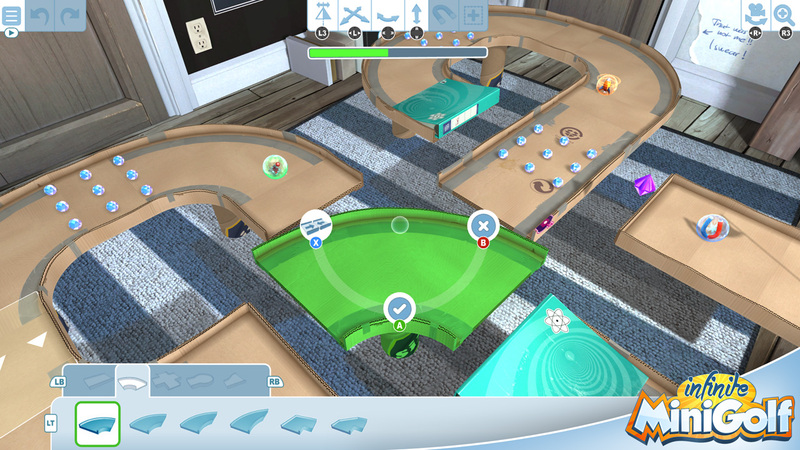 In addition, Infinite Minigolf features a robust course editor, allowing players to utilize thousands of different combinations to build detailed courses to their liking. 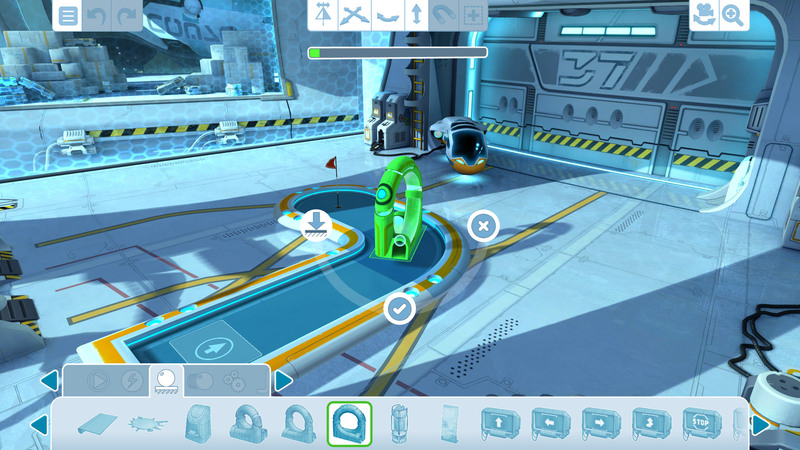 Players can imagine, create and share their courses with the Infinite Minigolf community and bounce their ideas off of each other. The possibilities are endless! 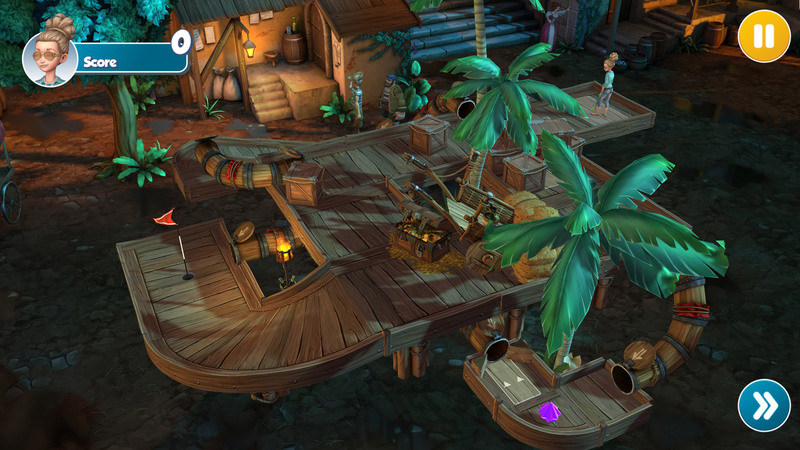 Infinite Minigolf features incredibly varied environments, each one encapsulating a different visual theme and gameplay style. 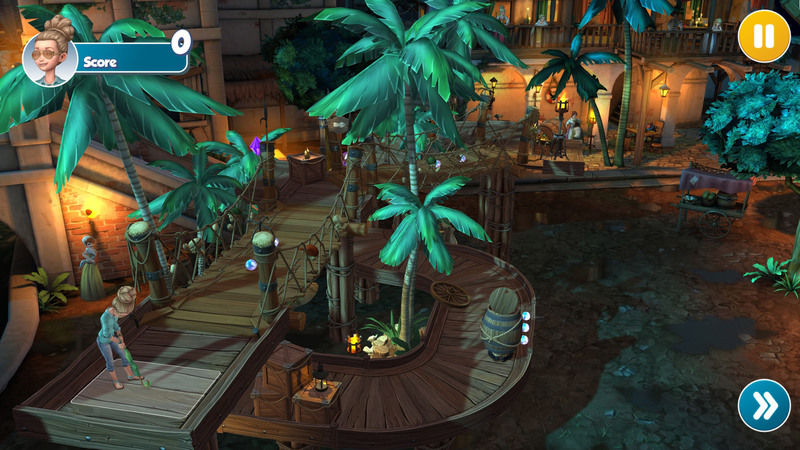 The Steam Early Access version of the game will feature the Giant Home stage at first, with more coming at a later date. Players can expect monthly updates, new features and a lot of content to hit the game on Steam Early Access before it launches next year! While in Early Access, players can download the game for a discounted price of $14.99, and will be $19.99 next year when the game officially launches. 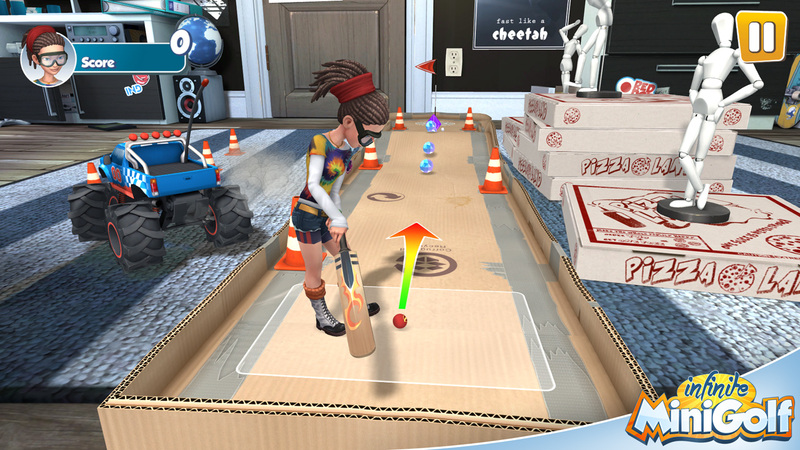 We are looking for as much feedback as possible so please feel free to let us know what you like, what needs improvement, and what you’d like to see in Infinite Minigolf via the Steam forums. 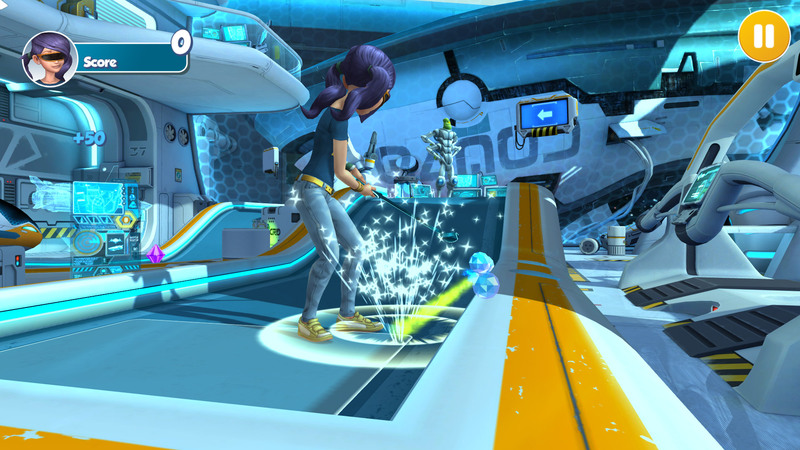 The sequel to the beloved Planet Minigolf, Infinite Minigolf takes the classic gameplay presented in the original game to exhilarating new heights. 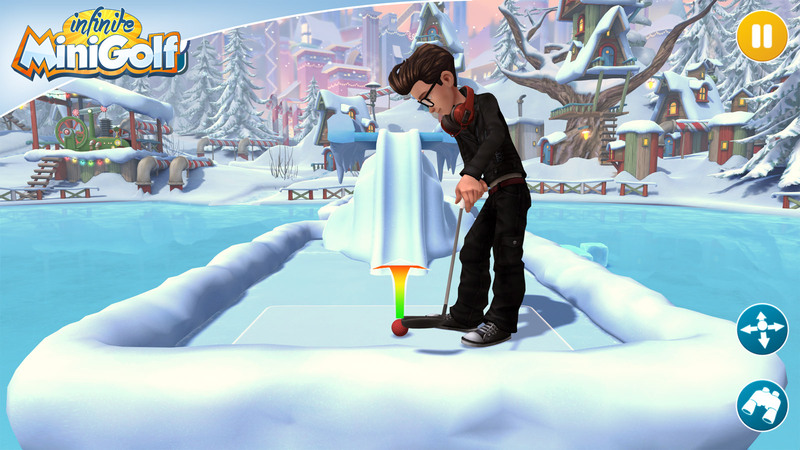 Infinite Minigolf takes advantage of modern gaming hardware to create extremely accurate physics, cartoon-rivaling graphics, animation and detailed environments for a truly unparalleled minigolf experience. 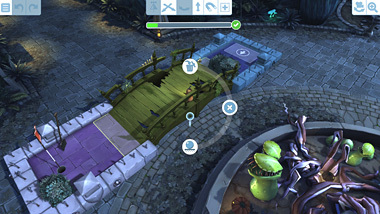 Simple, responsive controls make Infinite Minigolf easy and fun to play. Either by relying on precisely finding the right angles and strength or the smart use of the great variety of power-ups, you’ll always be in perfect control of the game. The innovative scoring system encourages you to find creative ways of putting the ball into the hole. The local multiplayer mode allows you to challenge your family members or friends in frantic tournaments even with a single controller or mouse. Online multiplayer will be added soon, with support for up to 8 players in various game modes. 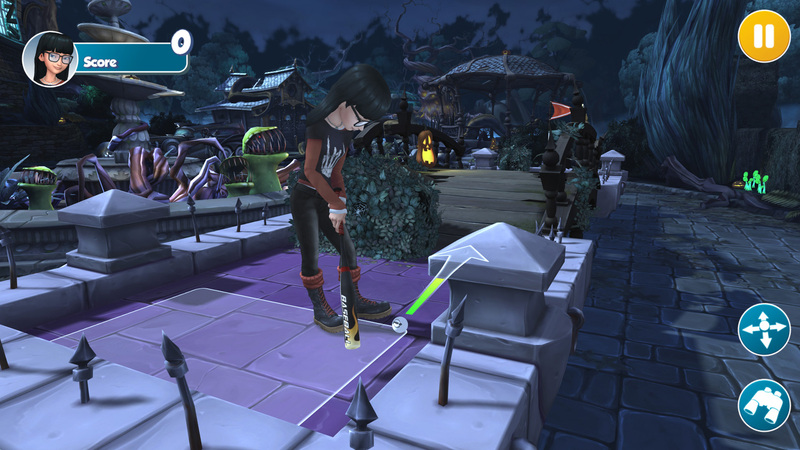 Infinite Minigolf comes with an easy-to-use course editor, making it possible to create new holes in the matter of a few minutes. Share your creations with the community by simply pressing a button, and watch them gain accolades from other players in the form of likes. 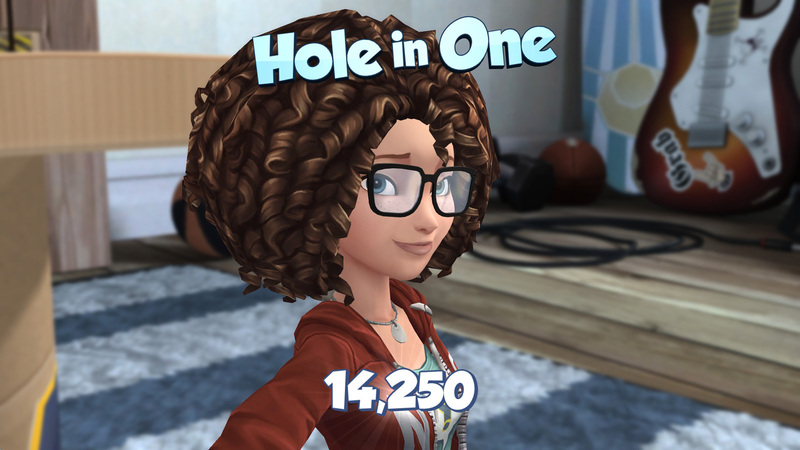 Explore thousands of holes created by the community, set new world records, participate in multiplayer competitions, customize your character with unlockable clothes and accessories or create your own courses – the possibilities are endless in Infinite Minigolf. 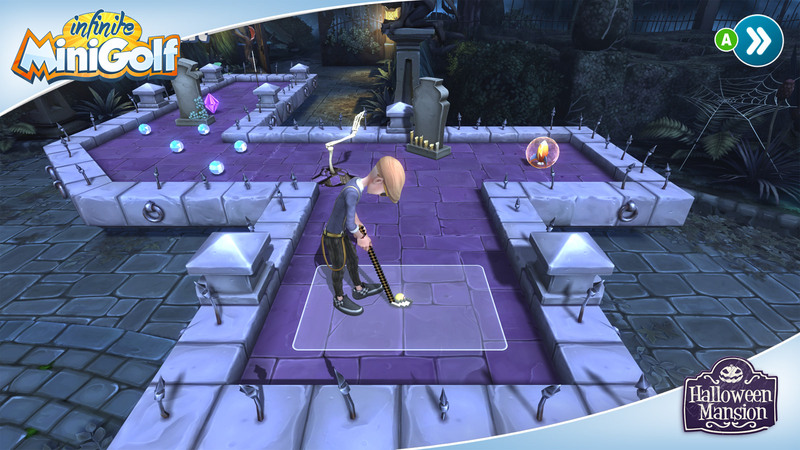 'Infinite Minigolf' is a trademark of Zen Studios Ltd. © 2017 Zen Studios Ltd. All Rights Reserved.